For nearly 2 months now, I have been doing Black Tea rinses weekly in my hair and love the results I have been getting. 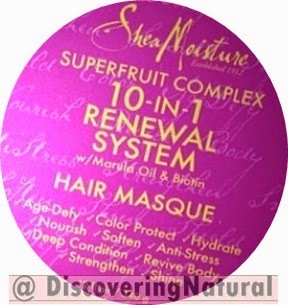 I decided to use it with the SheaMoisture SuperFruit Complex 10-in-1 Renewal System Hair Masque to test how it works. 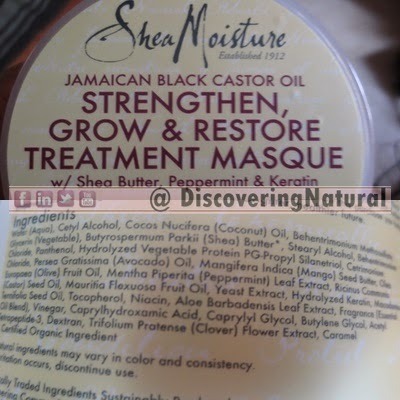 Since this hair masque will be my new Moisturizing Deep Conditioner, I need it to work well with my Black Tea rinse because I have seen great changes with my hair in terms of shedding and breakage from doing these weekly rinses. 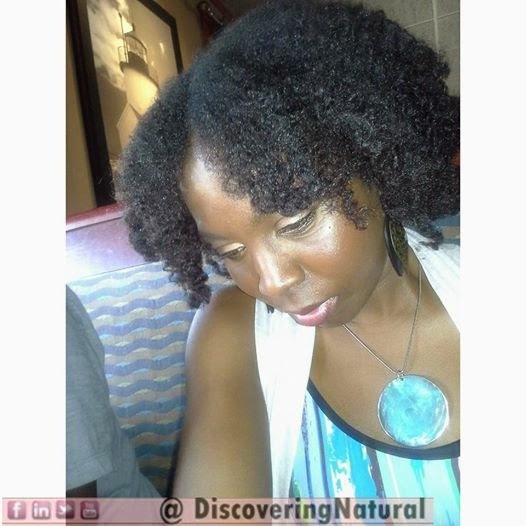 The other Moisturizing Deep Conditioner I use is Eden Bodyworks Deep Conditioner . Which do I like better, right now, the SheaMoisture one is winning. 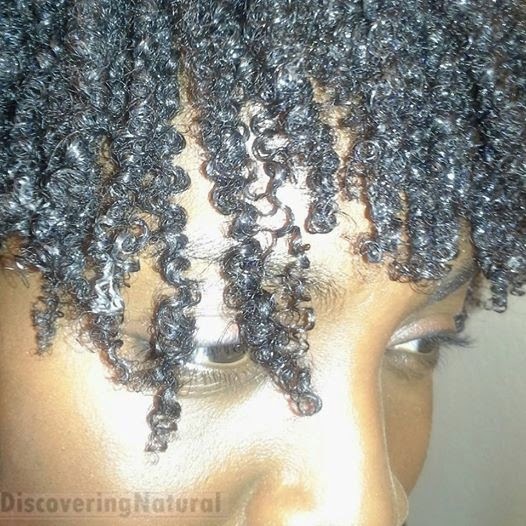 Detangle and prepoo with Trader Joe's Coconut Oil and VO5 Strengthening Conditioner. 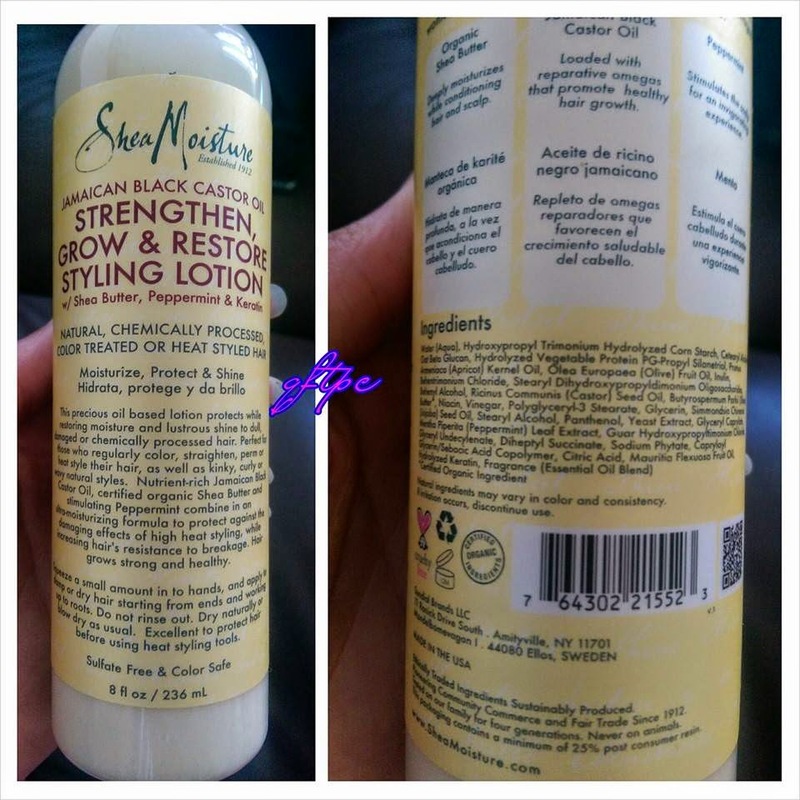 Apply SheaMoisture Jamaican Black Castor Oil Leave In Conditioner (still testing, review coming soon) My hair felt so silky soft and detangled!! I was like OMG! Did a three style combo: Braid, Twist, and Bantu Loop hair, damp for hang time. 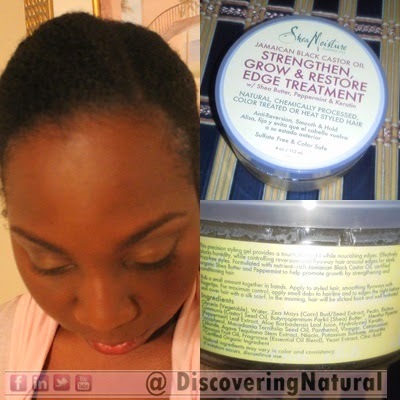 Apply SheaMoisture Jamaican Black Castor Oil Edge Treatment to edges. Wrap twists around head and secure with bobby pins for stretch. 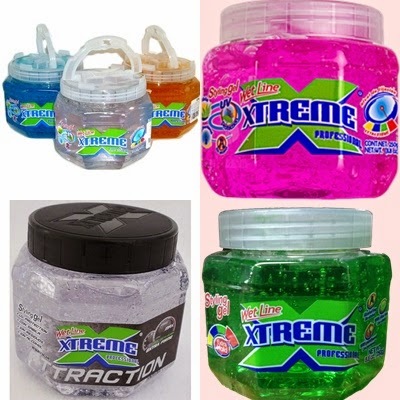 For more info on the Xtreme Wet Line Gel, click here. Have You Subscribe Yet? SOMETHING BIG is in the Works! We are planning SOMETHING BIG!!! Comment below and state if you are subscribed. If not, go subscribe and comment back. When I found this product at the 4th CVS we visited, I was not really planning on buying it. 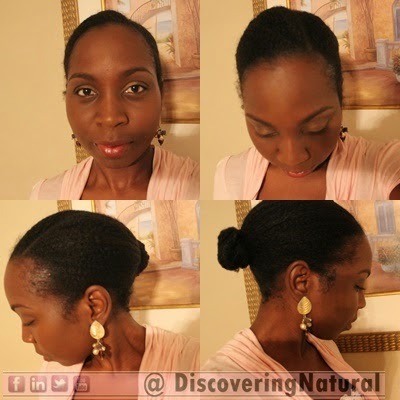 I usually do not use much on my edges except my Jamaican Black Castor Oil or my DIY Shea Aloe Butter to lay my edges. My initial thought and MISTAKE was to assume that this was an Edge Tamer. 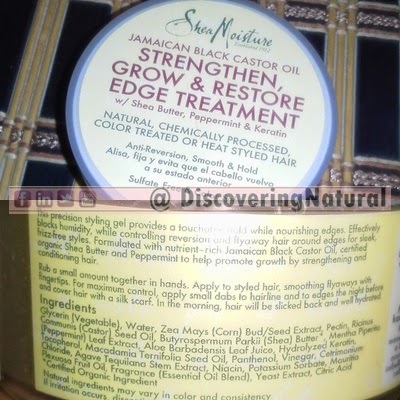 First of all, what is SheaMoisture Jamaican Black Castor Oil Strengthen, Grow & Restore Edge Treatment? According to the info on the jar This precision styling gel provides a touchable hold while nourishing edges. Effectively blocking humidity, while controlling reversion and flyaway hair around edges for sleek, frizz-free styles. This product does really well in moisturizing and nourishing the edges, but however if you are looking for a strong hold, this is not the product for it. 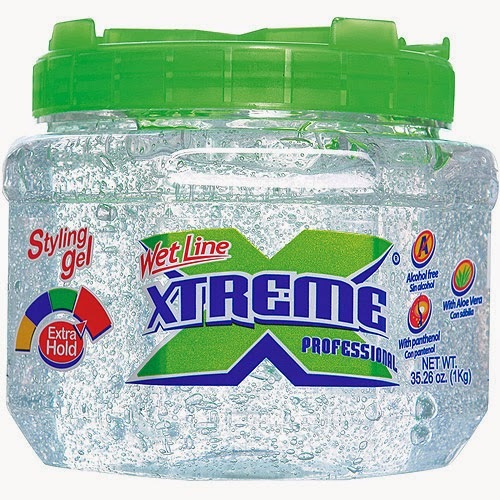 It does give a soft hold and is great for someone like myself that does not like hard gel along the edges. Hard gels can actually damage edges. I did not experience any product build up using this product. From different wordings on the packaging, I believe this product is geared towards naturals who use heat, however, due to the terms, flyaway and anti-reversion. You only need a very small amount of this product because due to Glycerin (which is the first ingredient), you will encounter a bit of oiliness and stickiness on your fingers. As far as controlling reversion and flyaways, I feel that I will need to add another gel on top of this product to get the job done. What are these ingredients doing to our hair? Also known as Brazillian Buriti Fruit Oil. 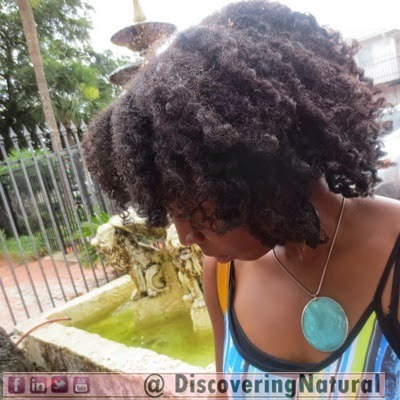 Moisturize and protect your hair from sun damage and pollution. QOTD: My Hair is Breaking Constantly, What Can I Do? First of all, let us make sure that the hair you observe is actually broken hair and not shedding hair. 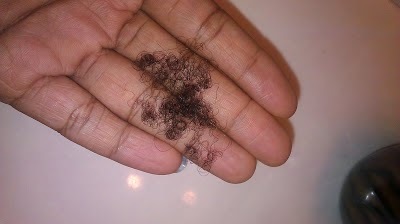 Hair that is shedding is one that has gone though its lifecycle. It would have a white bulb at the end of the hair strand. Hair that has experienced breakage will not have this white bulb. If your hair is longer, it will be shorter than the shedded hair. Now to answer the question. There can be several reasons why your hair is breaking. Even though hair is protein, when it becomes damaged, the shaft has missing gaps that need to be fixed. Doing regular protein treatments can help strengthen the hair shaft. Make sure that you are not combing your hair while dry. If you have to comb your hair and it appears dry, spritz it with a little bit of water to help soften it, or had some moisturizer. Natural hair is quite fragile. If your hair is in a style that puts too much tension on the hair follicles, this can cause breakage. The most common of such breakage is along the edges. 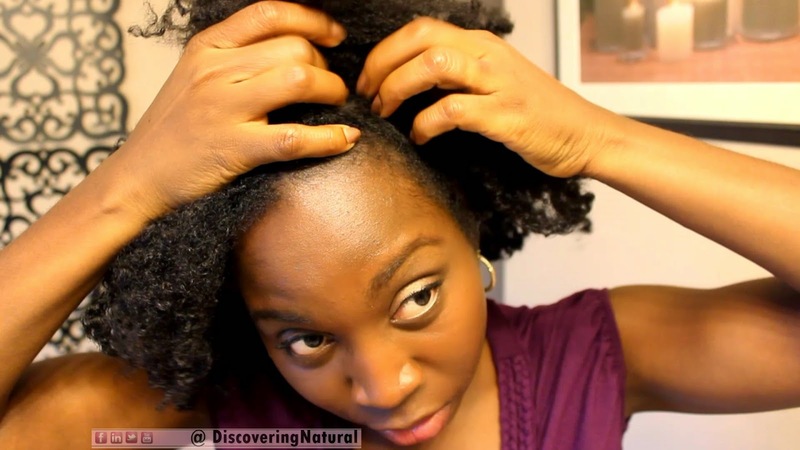 Natural hair attracts lint from carpet, clothing, and so many places. 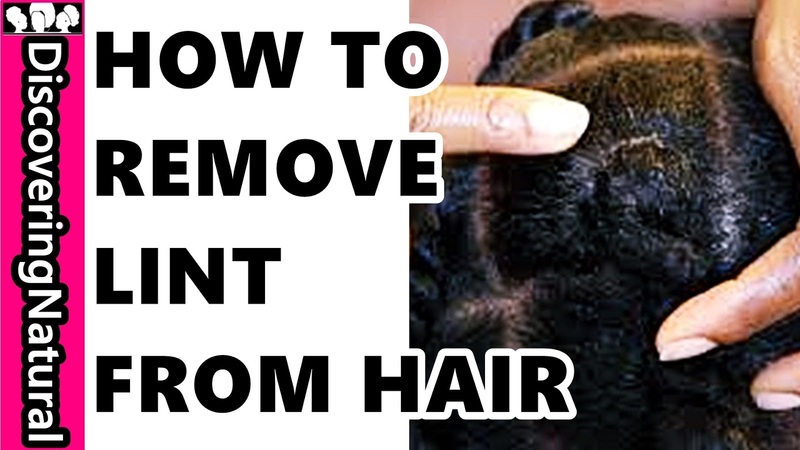 In today's video, I show you how to quickly remove the lint without damaging the hair. What you are thinking: Didn't I just wash my hair 2 days ago? My response: Yes. However, I used a product that gave me a bit of product build up because I used too much. Today's wash day was a bit different. It was time for a trim. My last trim was April 28th, 3 months ago. Yeah... I am a person of habit. I'm quite proud at myself for keeping up with my trims, something that I was on my 5 Natural Hair Goals Plan for this year. In the past, I trimmed my hair damp, but this time, I did it dry. Okay... I'm getting ahead of myself... here is what I did. Apply Grapeseed Oil to protect from heat damage. I noticed that after several hours, my hair still felt quite moisturized and so soft. Thanks to my newest product!! Loved it!! 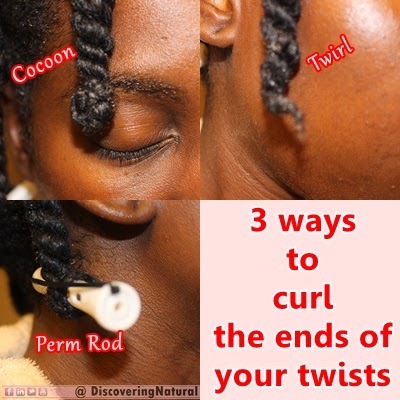 Retwist and twirl the ends. 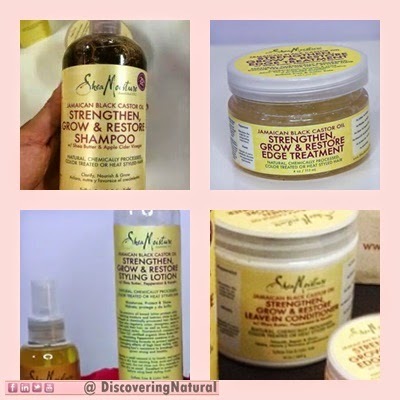 SheaMoisture is on a roll!! After releasing the SuperFruit Complete 10-in-1 Renewal System line a few weeks ago, now, they have a new line called the Jamican Black Castor Oil. Their products work well on our hair, and we are looking forward to trying this new line. WHEN we get on hands on it!! Once I get my hands on any of these I will post a video on my channel, DiscoveringNatural. Click here to Subscribe. Have you seen this line? Share where!! 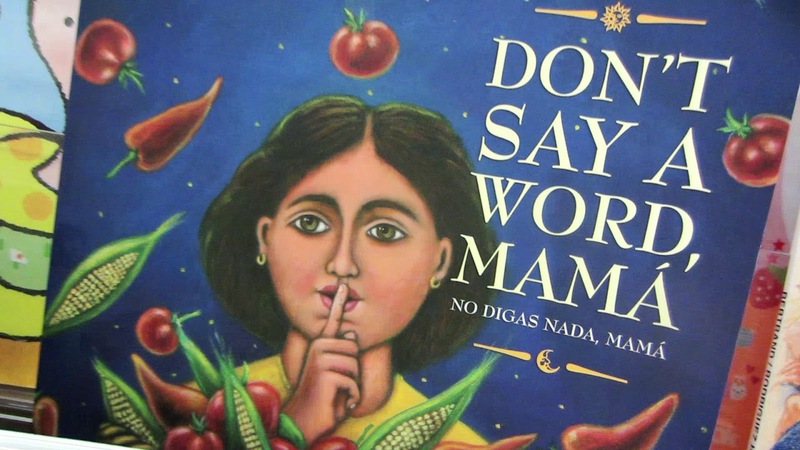 Psst!! According to SheaMoisture, this product line will launch at CVS and Meijer stores on August 1st 2014. 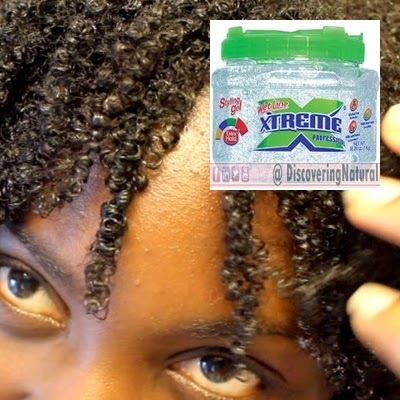 I needed to do a refresh and also test a new gel, Xtreme Professional Wet Line Styling Gel. Then after rinsing off, I applied castor oil, and the gel. Total process took 30 mins YEAH! 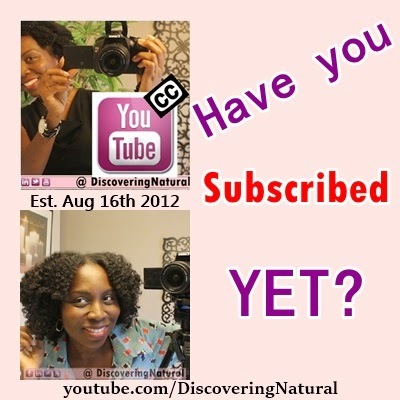 Please subscribe to DiscoveringNatural to see how I maintain this at night and also refresh the next day. 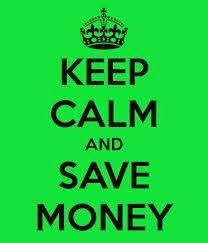 Affordable and can be found in numerous places like Sally's Beauty, Amazon, Target, Walmart, Dollar stores. 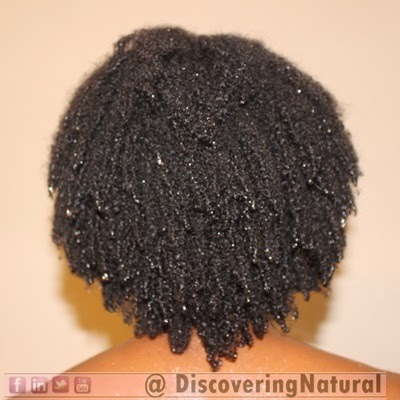 This product dries hard but you can layer with some castor oil to provide softness. 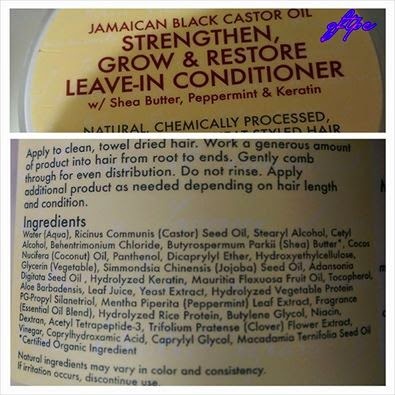 What do these ingredients do to our natural hair? provides moisture to the hair. 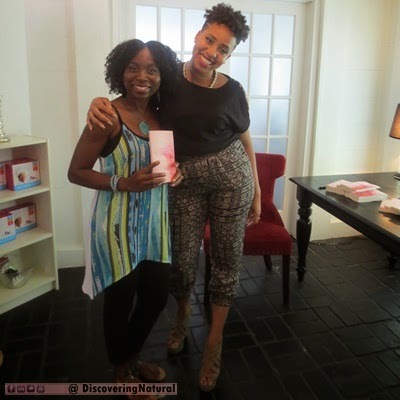 Wash Day Diary: July 19th 2014 : I'm In LOVE!! Okay... now, today was Big Sis's wash day and I decided to try this hair masque on her hair. I felt confident that because of the promising ingredients, the product would work great for her hair. Well, this is the BOOM.com!! Do people still say that? LOL! Anyways... I had to refreshen my hair and decided to try this on my hair. SideNote: I did not do my Black Tea Rinse this time because I was testing a new product. However, shedding was still minimal. I covered my hair with 2 plastic bags, my turbie twist, and a knitted hat to generate as much body heat as possible. Method 1 of using this product. After 30 mins, I rinsed off. Hair still felt like B-U-T-T-E-R and I noticed I did not have as much shrinkage as I did. The shine in my hair was GREAT!. I also LOVED the smell, of course...since I have been using the SheaMoisture SuperFruit Body Wash for over 3 months now. Same smell. 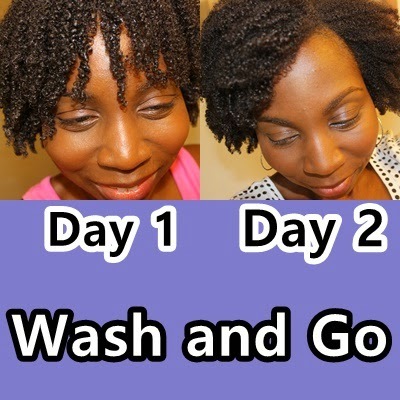 - Apply Oil mix to hair that is not towel dried ... water was just squeezed out. - Twist hair and pin around head. Plan for tomorrow: Head over to Ulta and STOCK UP ON THIS PRODUCT!!! This is also known as "Hanging Bantu Knot"
We've all struggles with fear and acceptance during our natural hair journey, in this video, I talk about how I overcame fear of wearing my natural hair out and how I came to accept it. 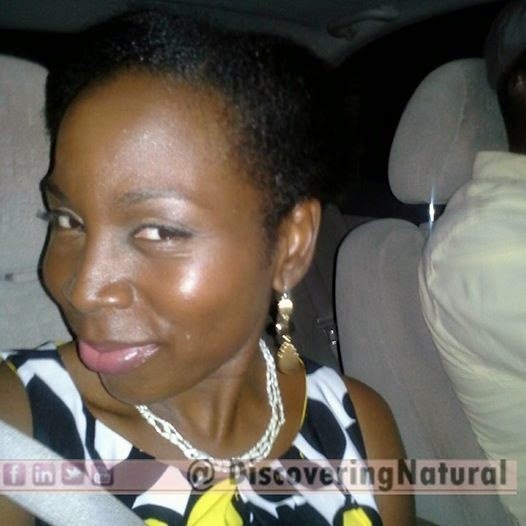 What fears do you have concerning your natural hair? Cetrimonium Chloride is also known as Cetyl trimethyl-ammonium chloride. It is a quaternized ammonium molecule. What does it do for our hair? This ingredient acts as cationic surfactants, which can be used as emulsifying or conditioning agents. Its conditioning properties helps to smoothen our hair cuticle and minimize flyaways because it stop the build up of static electricity in hair. 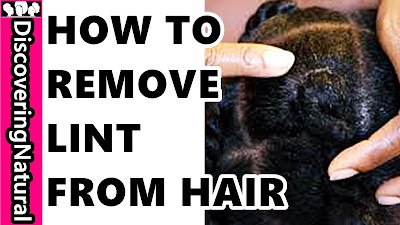 This ingredient can also act as a detangler for the hair. 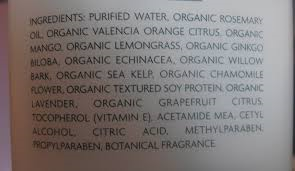 Do you have any products containing this ingredient? Comment below. 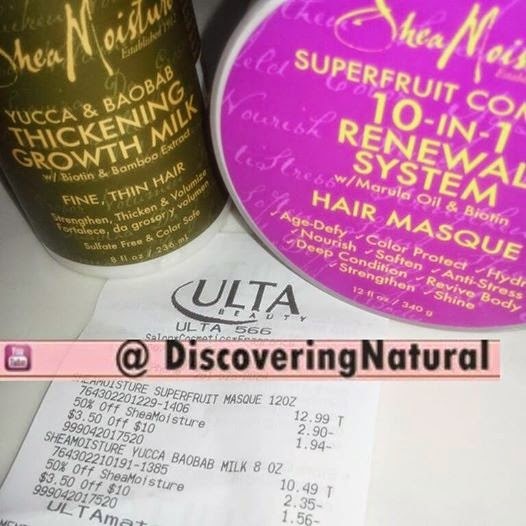 I FINALLY got my hands on the new SheaMoisture﻿ SuperFruit Complex 10-in-1 Renewal System product, actually just the Hair Masque at Ulta. WATCH my Product Review. Don't forget to Subscribe and SHARE!! 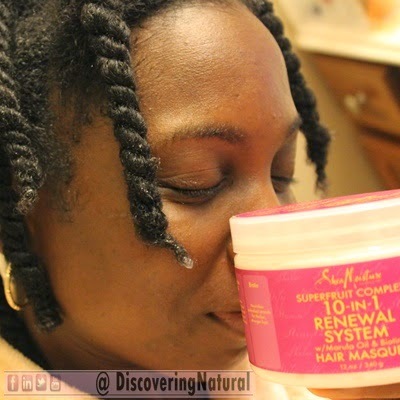 I was not been able to find an ingredient list for the new SheaMoisture﻿ SuperFruit Complex 10-in-1 Renewal System products online. I know others have also been searching for the list, I hope this helps out. "What is in this, Mommy?" Psidium guajava fruit extract Guava fruit; adds bounce to hair and aids in preserving color in hair. Based on the ingredients, the product claims are correct. QOTD: My hair feels constantly dry even after moisturizing. What do I do? 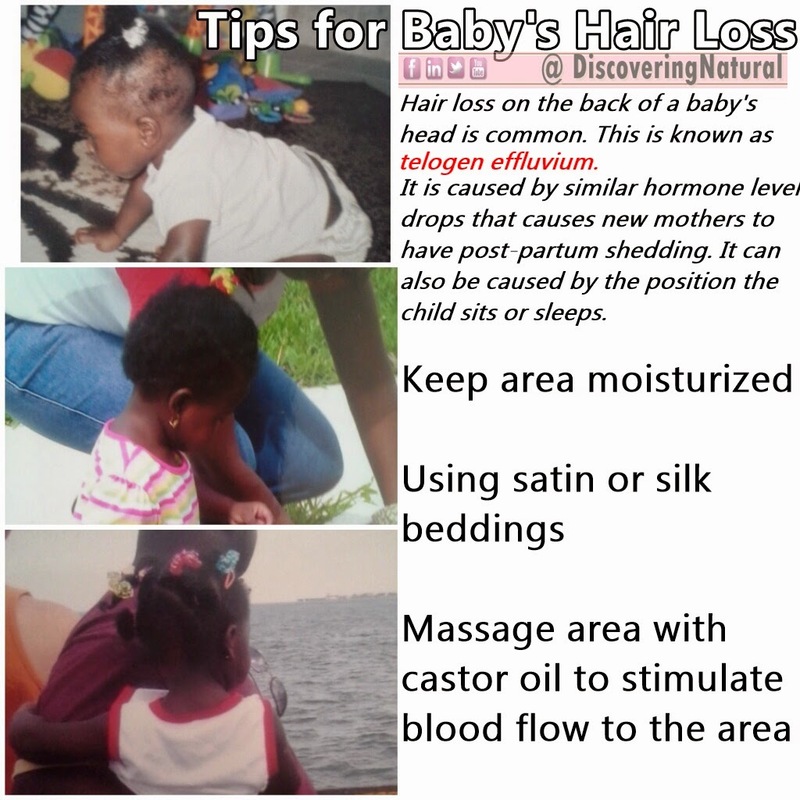 (1) First check your hair porosity. 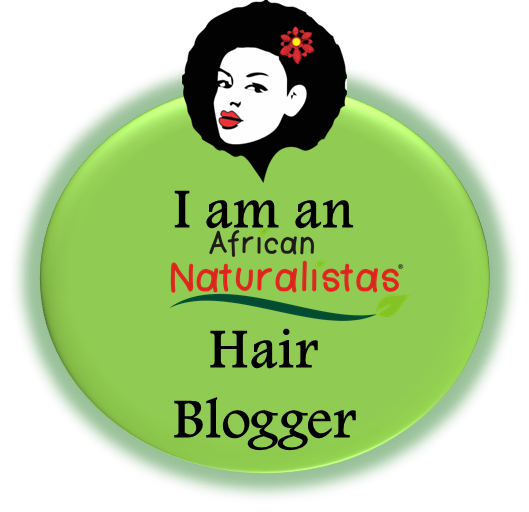 Make sure that if you have low or high porosity hair, you are doing the right things to lock in the moisture. 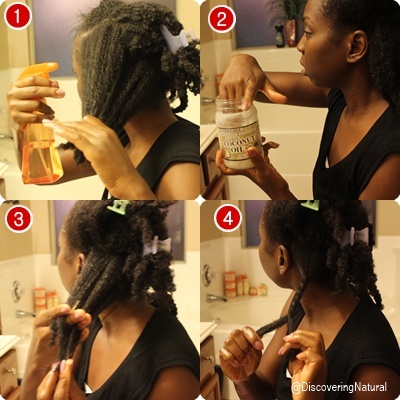 (3) How are you moisturizing your hair? Use the right method that works. 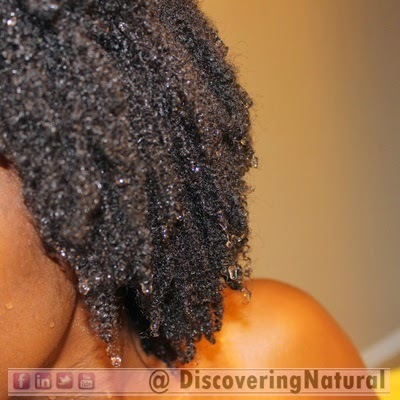 (5) Make sure you are deep conditioning regularly. I started off my Wash Day by pre-pooing my hair with something I use to use when I was transitioning and earlier in my natural hair journey. Spritz hair with pre-brewed and cooled Black Tea (mixture 1 cup of water to 1 bag of tea). This amount is perfect for my hair. I found that my previous Wash Day Black tea rinses always had left over. I hate wasting stuff! Rinse and do a cool water seal. Click here to see results of these 3 methods. 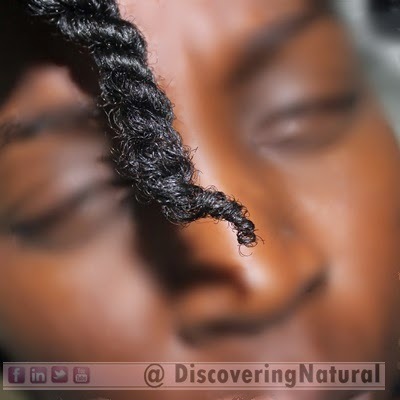 In this method, you create a small bantu knot like loop at the ends of your hair. 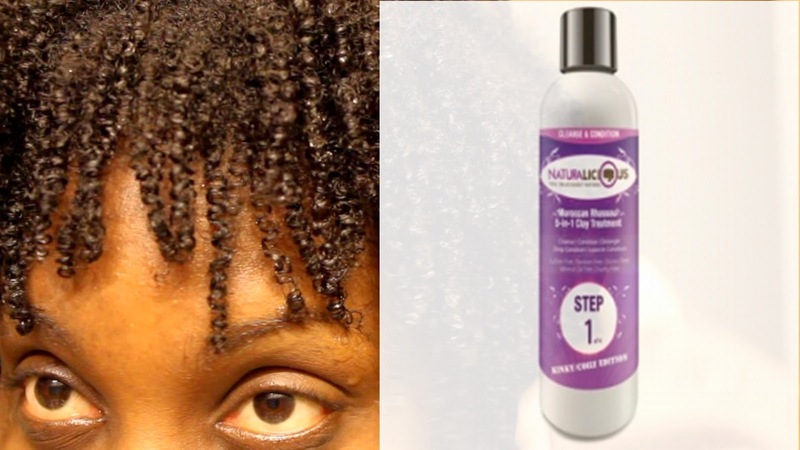 This method protects your ends and if you have a problem with retaining moisture at your ends, this method does the job. 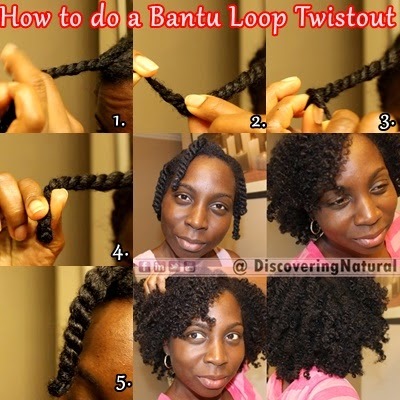 This method is also known as Bantu Loops, different variation but similar. This is the most common way to curl your ends. All you do is twirl your hair around your finger. 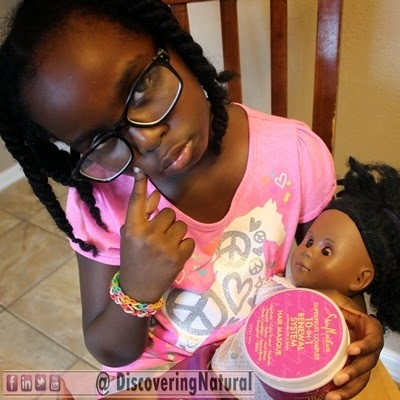 To get the perfect curl, I always seal my ends with my DIY Shea Aloe Butter. If you are having a hard time curling your ends, try using either a perm rod or even flexirods. 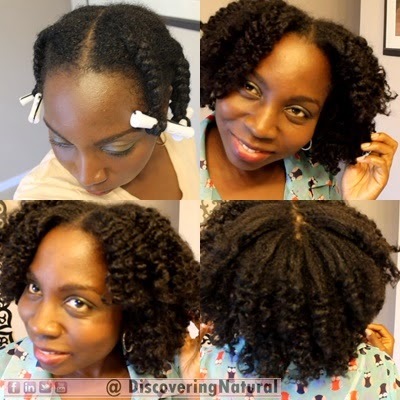 What method do you use in curling your ends for your BEST Twistout? 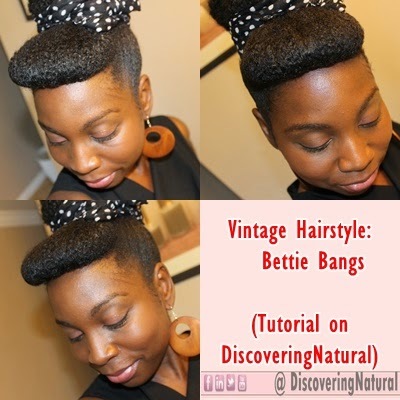 Vintage Bang on Natural Hair "Bettie Bang"
Last month, I stopped using Trader Joe's Nourish Spa Conditioner. Why? Click HERE. 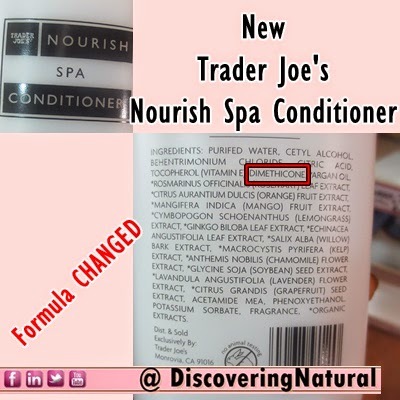 Well, I was at Trader Joe's today and decided to read the ingredient list of the conditioner, maybe they have removed parabens. This product no longer has parabens, however!!! They have now gone and added Silicones. Oh well... guess I will not be re-purchasing. Thankfully I still have the Tea Tree Tingle conditioner. 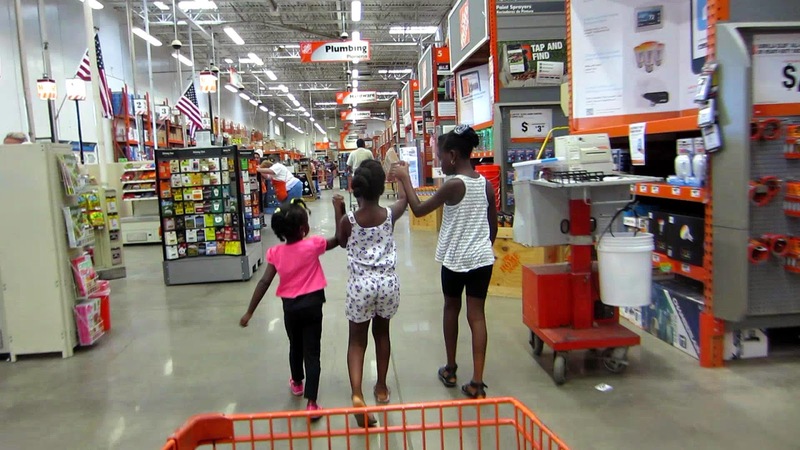 Today's vlog started with failed plans, but at the end, we had a great day!! After numerous fails, I have finally been able to do my best braidout. 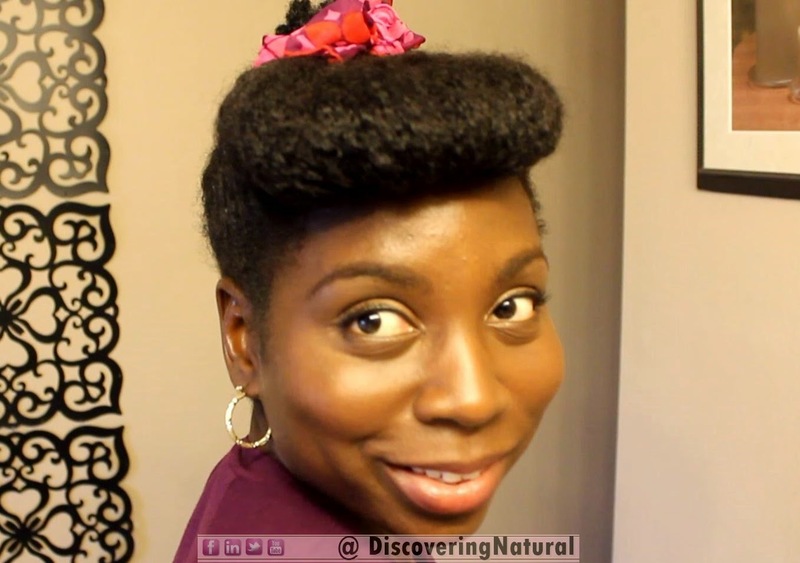 The first time I attempted a braidout, I thought it was ehhh Ok. Click here to watch. That was a year ago. A few month after that, I tried it again and it was better but not the best. Click here to watch that. I did not give up. Well, I did for 11 months. LOL! The thing that baffled me about braidouts was that when I was transitioning, my braidout was always a no fail. I always had issues with twistouts. Now fully natural, the opposite seem to be the issue. 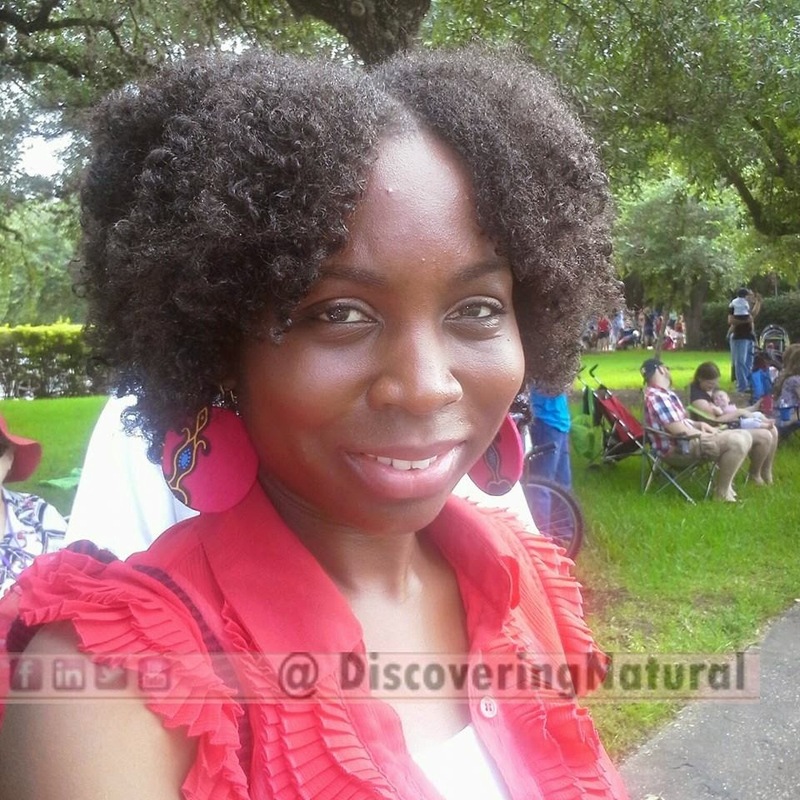 #NaturalHair Inspiration: What have I Been Doing?